Published at 1131 × 634 in Marines Baseball: The Many. The Pricey. 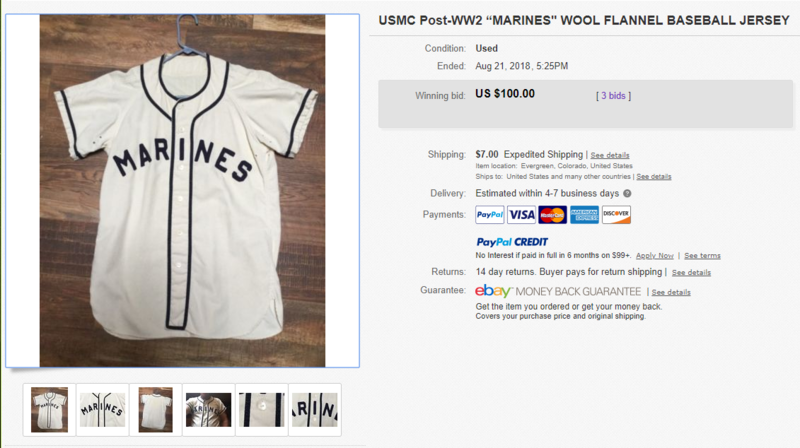 One of the most interesting jerseys to come to market in the last year, this 1950s white (with blue trim) was worth overpaying to the auction winner (it sold for double its value).